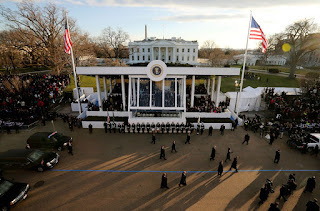 Dominion Electric Supply provided the lighting for the 2013 PRESIDENTIAL REVIEWING STANDS. Stacey Estep in our Commercial Lighting Department was the Salesperson and the Project Manager was Barbara Bosch. The contractor on the project was Heller Electric Company. This was a very fast paced job that required a significant amount of negotiating with our vendors to achieve the deadline. This year marks the 11th consecutive time Heller Electric Co., Inc. has completed electric work for the Presidential Inauguration. This year's ceremony is scheduled for January 21. 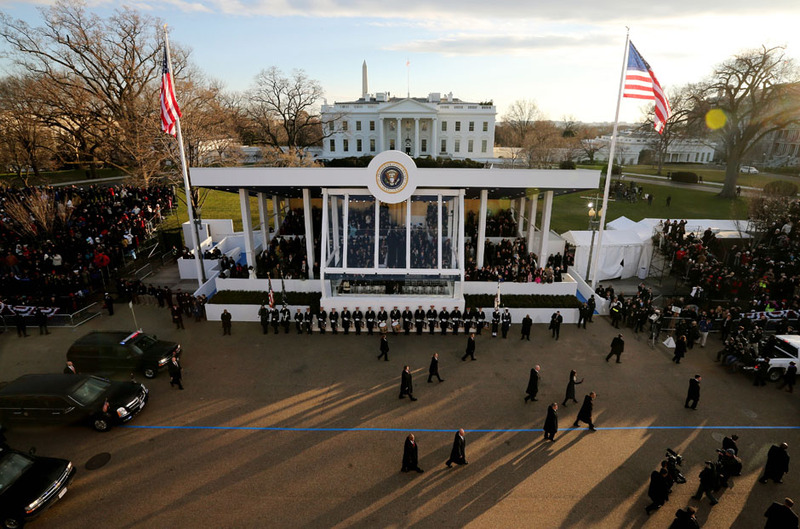 Work on the 57th Presidential Inauguration began almost immediately after the election. Electrical Alliance contractor Heller Electric began electric installation on three separate structures for the ceremony: the Presidential Reviewing Stand, Media Stand, and Mayoral Parade Reviewing Stand the week before Thanksgiving. Since then, an average of nine electricians worked 10-hour days, up to seven days a week to ensure it was completed by January 7.